It is relatively easy to find foreclosed properties in your area by researching bank websites, online real estate listings, and county announcements, free foreclosure listings, and through your local newspaper. Foreclosed homes can be bargains from banks that often sell foreclosed homes for prices well under the market value. There are downsides, however, to purchasing foreclosed properties. Homes may have liens that need to be satisfied, you may be unable to inspect a foreclosed home, and the bank may require back payments before closing on a sale. 1. Banks generally list their foreclosed properties online. As an example, there are over 800 home listings on the Bank of America site and listings include prices, photos, and home descriptions. Check out Fannie Mae and Freddie Mac listings which are much larger. 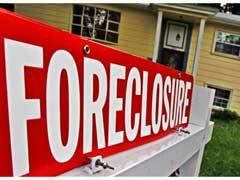 Bank foreclosure listings are generally free of charge and are updated on a monthly basis. 2. The Department of Housing and Urban Development lists foreclosed properties it owns on a free website and through local real estate agents. Most of these foreclosed homes are sold as is and it is the buyer’s responsibility to make repairs and take care of problems. 3. Foreclosure information is filed with the county offices and some of these listings are posted online and on bulletin boards in the county offices. You can usually find these properties by ZIP code or street address. 4. It is possible to purchase a foreclosed properties list from RealtryTrac or any other real estate agency. For a set monthly fee consumers can receive a million listings that cover most of the United States. This list includes those homes already foreclosed plus homes in the process of foreclosure. You can make offers online for many of these properties, but do be aware that these offers are not binding. 5. Find a good real estate agent to help you locate local properties that are nearing foreclosure. By using an agent you can have the inside track on foreclosed properties before they go to auction or are sold to another buyer. 6. Pre-foreclosure properties are first offered as short sales then end up as foreclosures. Short sale homes often end up as foreclosures because of repairable damages, vandalism, bank refusal to accept less than the mortgage balance, location of the home, and overpricing. 7. Not every foreclosure is a bargain and some are bureaucratic nightmares. The best way to avoid problems is to use an established real estate agent who is knowledgeable about foreclosure procedures and policies. A real estate agent can help you look through local listings, major bank web sites, and web sites of asset management companies. If you are in danger of having your home foreclosed, there are definite rules that must be followed before your home can be taken away. For example, foreclosure in Maryland follows the rules set out by the federal housing industry and state rules. Most states carry the same rules and regulations which include; not having your home taken way before ninety days from the date your loan went into default. It is the law that a notice of intent to foreclose is sent 45 days before the foreclosure case is filed. This notice will list how you need to bring your loan current, the phone number of the loss mitigation division and how you can work out your default. You do have rights as a home owner and the mortgage company will generally do everything they can to help you bring your mortgage current.